Goa chief minister Manohar Parrikar death news has left everyone in sorrow and grief. 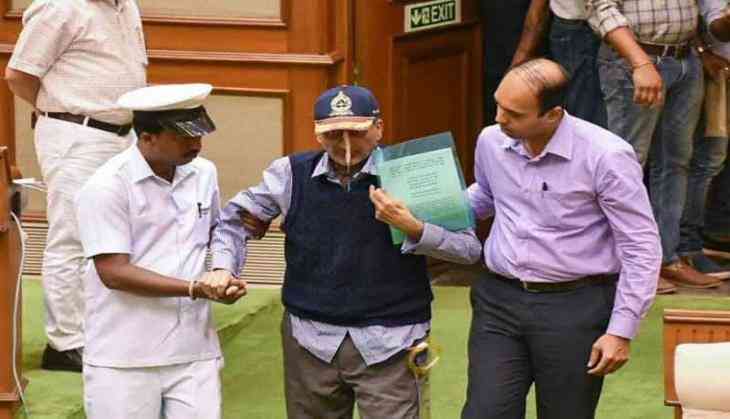 The former defence minister took his last breathe at his son's home in Panaji on Sunday evening. He was 63. He died after battling with his a year-long battle against pancreatic cancer. This sad news was first announced by President of India Ram Nath Kovind on Twitter and then, several condolence messages have been poured all across the nation. From BJP to oppositions, all have extended their grief over the demise of Goa CM. He also shared some more tweets and remembered the contribution of former Defence Minister and the Goa CM Parrikar. Also, Prime Minister Narendra Modi took to Twitter and expressed his grief over the demise of Goa CM. Rahul Gandhi was the first from the opposition who also expressed his grief after hearing the death news of Parrikar. Soon after, social media has been flooded with condolence messages. Twitterati was saying that they have lost a true leader, the one who is powerful and yet remain humble! After the death of a technocrat-turned politician, the central government has announced national mourning on Monday and the National Flag will fly at half-mast across the country. Also, the seven-day mourning announced in Goa and all schools and educational institutions will remain close in the state today and all examinations, including Board exams, has been postponed. The last rites of Manohar Parrikar will be performed at around 5 pm at SAG grounds in Campal, approximately 4km from Panaji. While his body will be kept for public viewing until 4 pm. A true leader is the one who is powerful and yet remain humble! @BJP4India Lost two of the tallest leaders in form of #ManoharParikkar and #AtalBihariVajpayee in a span of an year. But untimely demise of Manohar Parikkar ji is hard​ to digest, no one can take your place sir. RIP.